Get Sindh Revenue Board Jobs 2019 Application Form Download. 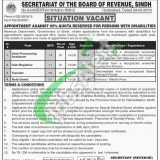 Applications are being offered for the SRB Jobs 2019 which is in search of well disciplined, caliber applicants are required to apply for the following posts which include (Data Processing Assistant, Sub-Registrar, Tapedar, Naib Qasid) against 05% quota reserved for persons with disabilities at Secretariat of the Sindh Revenue Board. The overall qualification includes (Bachelors/Intermediate/Matric/Middle) for the relevant post and along with relevant skills and expertise are needed to hold such posts. All posts will be filled on a contract basis and appointees will be placed anywhere in Sindh. Attractive salary package will be given to the applicants with a professional environment. Now, I will let you know about its further details below. SRB stands for Sindh Revenue Board is the Government of Sindh working department which is having the task to collect the taxes and revenue, preparation of land record and other matters relating works are included in its tasks. Being a Govt department it offers Govt jobs of all levels and current Jobs in Sindh Revenue 2019 are given below which can be examined from this page. The application written on a plain paper along with attested copies of educational certificate, experience certificate, CNIC, domicile, disable person certificate, a recent photograph should reach the following address given below. Applications incomplete, or received after the closing date will be rejected. SRB Jobs Last Date for submission of Application Forms is April 30, 2019. All applications should be submitted to the Office of the Secretary, Board of Revenue, Sindh, Shahbaz Building, Block-D, Thandi Sarak, Hyderabad. 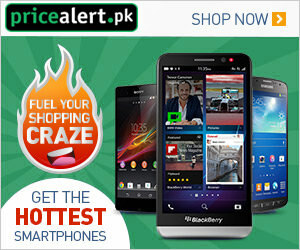 Address: Office of the Secretary, Board of Revenue, Sindh, Shahbaz Building, Block-D, Thandi Sarak, Hyderabad.